Perhaps you are aware or use Microsoft Azure, how about Azure Stack? 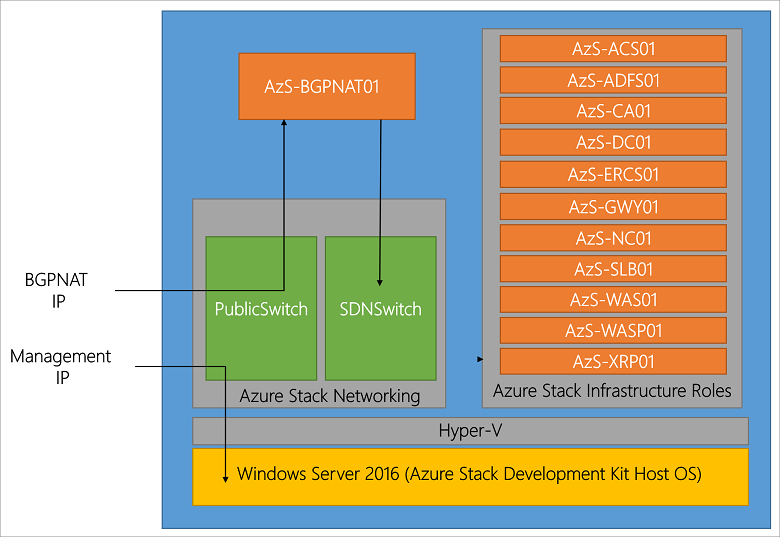 This is part one of a two-part series looking at Microsoft Azure Stack providing an overview, preview and review. Read part two here that looks at my experiences installing Microsoft Azure Stack Technical Preview 3 (TP3). For those who are not aware, Azure Stack is a private on-premises extension of the Azure public cloud environment. Azure Stack now in technical preview three (e.g. TP3), or what you might also refer to as a beta (get the bits here). In addition to being available via download as a preview, Microsoft is also working with vendors such as Cisco, Dell EMC, HPE, Lenovo and others who have announced Azure Stack support. Vendors such as Dell EMC have also made proof of concept kits available that you can buy including server with storage and software. Microsoft has also indicated that once launched for production versions scaling from a few to many nodes, that a single node proof of concept or development system will also remain available. Besides being an on-premises, private cloud variant, Azure Stack is also hybrid capable being able to work with public cloud Azure. In addition to working with public cloud Azure, Azure Stack services and in particular workloads can also work with traditional Microsoft, Linux and others. You can use pre built solutions from the Azure marketplace, in addition to developing your applications using Azure services and DevOps tools. Azure Stack enables hybrid deployment into public or private cloud to balance flexibility, control and your needs. Microsoft Azure Stack is an on premise (e.g. in your own data center) private (or hybrid when connected to Azure) cloud platform. Currently Azure Stack is in Technical Preview 3 (e.g. TP3) and available as a proof of concept (POC) download from Microsoft. You can use Azure Stack TP3 as a POC for learning, demonstrating and trying features among other activities. Here is link to a Microsoft Video providing an overview of Azure Stack, and here is a good summary of roadmap, licensing and related items. This version of Azure Stack is a single node running on a lone physical machine (PM) aka bare metal (BM). However can also be installed into a virtual machine (VM) using nesting. For example I have Azure Stack TP3 running nested on a VMware vSphere ESXi 6.5 systems with a Windows Server 2016 VM as its base operating system. A common question is if there is demand for private and hybrid cloud, in fact, some industry expert pundits have even said private, or hybrid are dead which is interesting, how can something be dead if it is just getting started. Likewise, it is early to tell if Azure Stack will gain traction with various organizations, some of whom may have tried or struggled with OpenStack among others. Continue reading more in part two of this two-part series here including installing Microsoft Azure Stack TP3. Greg Schulz – Microsoft MVP Cloud and Data Center Management, VMware vExpert (and vSAN). Author Cloud and Virtual Data Storage Networking (CRC Press), The Green and Virtual Data Center (CRC Press), Resilient Storage Networks (Elsevier) and twitter @storageio. Watch for the spring 2017 release of his new book "Software-Defined Data Infrastructure Essentials" (CRC Press).